Hot on the heels of doing this for the Society6 equivalent, we’ve now done this for the Nifty Zazzle Product Grid Sharer page. 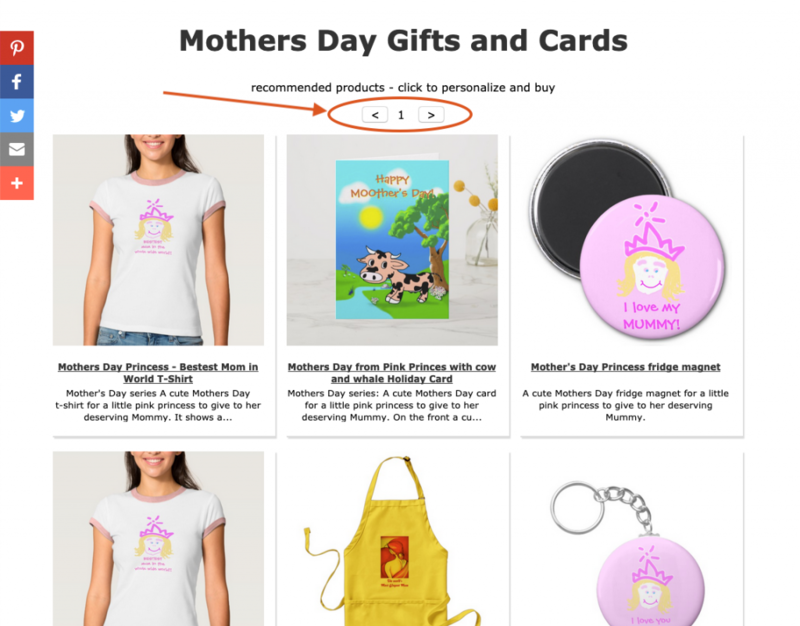 We’ve added a forward and back button to allow your visitors to move through the pages of results returned by Zazzle. With this simple addition, you get even more engagement from the people you share your product grids with. Keeping them looking at your designs for longer is a good thing. Why? It’s because the longer they look, the more their engagement and trust builds up. And that leads to more sales in the long run, no bad thing!